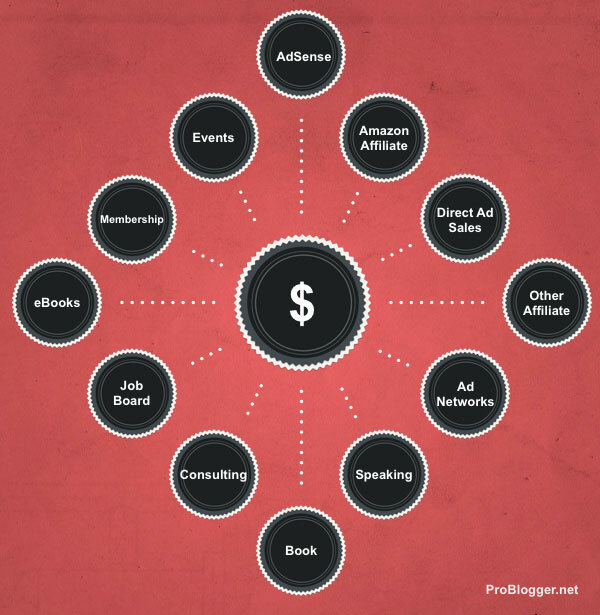 9 Ways A Blogger Can Monetize His Blog And Make Money Blogging | Blog About Tips And Tutorials. You only need to enroll into an affiliate program with a high demand product or affiliate program that pays high commission pee sale.once you are accepted go back to your blog and write a quality preview on the program. 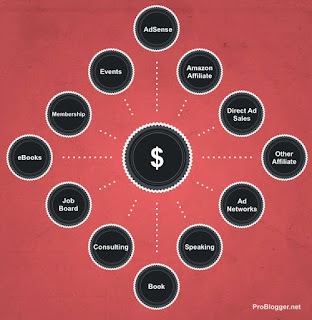 You can also make serious money with your blog by selling ad space to big advertisers. Creating ad space on your side bars and top panel is another way to earn money with your blog. Some people might also be untreated in adding their links inside your content your blog. All these will earn you money if you know how to negotiate a good price Base on the quality of your traffic. This is one program a lot of bloggers are crazy about, google AdSense can earn you money while you sleep.it is more or less the lazy bloggers way of making money in your blog. The main ways of making money in your blog with Google AdSense are by people visiting your blog and viewing the ads and second is when viewers go ahead and click iron the ad on your site. So,if you have a sizeable traffic, even if visitors don't click on the ad, their mere visit to the site can earn you some money. Everyone visiting the Internet goes there of getting information. This can be on any subject, if you can provide some of these tutorials in a simplified way, people will be Willing to pay to lay their hands on them. Your tutorial can be on how to make money with Amazon products,photography,video editing,wordPress etc. This is a very good way of making money too. No matter how little the charges are with many members paying your weekly,months, or annually you are bond to make a lot of money. Is the traditional ad for all media, build an audience, understand that audience, sell advertising space directly on your website targeted towards that audience. The reasons that company pays for these is because when your site links to their site, the google engine can sense that your website is linking to their website, and therefore google will trust that companies website more assuming if someone is linking to it. Once your blog has an audience, even if its small, you can begin to consider yourself an influencer. As an influencer,many brands will like to align themselves with you. This is the holy grail of the blogging world. A reputable business sees you as an ideal showcase of their brand and products, they pay you a monthly stipend, and you get access to all their goodies.